A drunken late night stop off at McDonald’s is proving too tempting for a third of vegetarians, according to a survey. 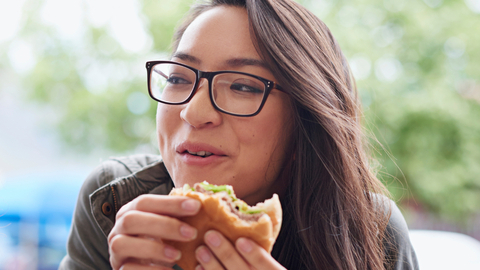 A study has found a third of vegetarians admit to eating meat when on a drunken night out. One in three admitted to eating meat every time they were under the influence and noted kebabs and burgers as their meat cheat of choice. Of the 1700 vegetarians surveyed, 27 per cent said they ate bacon, 19 per cent ate fried chicken and 14 per cent went for pork sausages. Almost three quarters of confessors said they kept their meat meals a secret. The survey was conducted by a British money saving website, Voucher Codes Pro. Website founder, George Charles, said he knew of “a few vegetarians who sometimes crave meat, but it seems that a few are giving into their cravings when drunk.